We are delighted to welcome Professor Joachim Frank to Sydney in September! Prof Frank is a biochemist who won the 2017 Nobel Prize in Chemistry. 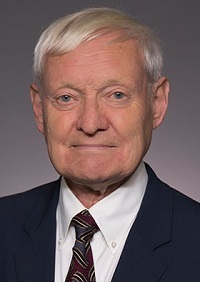 His work on image-processing techniques proved essential to the development of cryo-electron microscopy. Prof Frank is also the joint winner of the prestigious Eduard Kellenberger Medal and will be presenting at the IFSM Symposium, Friday 14 September 2018. He will be joined by fellow IFSM medal awardees to each present an 'IFSM Award Plenary Lecture'. 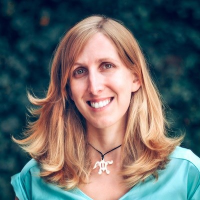 A/Prof Jennifer Dionne of Stanford University, USA, joins Dr Misty Jenkins, Professor Zhiwei Shan and Professor Dan Shechtman in our impressive line-up of plenary speakers for IMC19 2018. The Symposia Chairs have worked very hard to bring together a group of high quality leaders in various fields of microscopy who are sure to make IMC19 one to remember. With this, we are very pleased to introduce the Invited Speakers for the Congress. Abstract Submission Closing 1 March 2018! Don't miss your opportunity to be a part of a truly transformational program, featuring the world’s thought leaders and rising stars. The program will encompass four main streams - Life Sciences, Physical Sciences, Instrumentation & Techniques and Frontier Issues. Please click here to view the Program Streams and Symposia Topics in more detail. For general policies and requirements for the submission of abstracts, please click here. Qantas is delighted to be the major airline sponsor for the 19th International Microscopy Congress. Qantas, in conjunction with partner airlines, are offering registered delegates and travel partners special discounted airfares. Simply register for IMC19 and you will receive a special Access Code and link to the dedicated booking portal.